BCA stands for Bachelor of Computer Applications. This is a 3 year Graduation course being offered by many of the colleges in India. There are many other options of pursuing bachelor degree in different disciplines but if you are interested in Computer Science and its application BCA will be among the best choice. AS a BCA student you acquire knowledge o different topics like programming languages, computer hardware and software, computer networks, World Wide Web, Database Management, Logic, Multimedia etc. After completion of the course students can go for a master’s degree (MCA) or if not interested in further studies one can take up job opportunities. System Administrator: BCA course graduates can become System Administrators for firms/ organizations with massive computer bases. A system administrator is responsible for managing, overseeing and maintaining a multiuser computing environment. Programmer: After your BCA you can take up a career in computer programming. A computer programmer writes in a language the computer can understand to allow it to solve a problem. IT Trainer: As BCA will give you all round knowledge of computers and IT you could join training or coaching firm which provides IT training or you could start your own business in the same field. Getting into e-commerce: E-Commerce and E-business is the future, in the past few years online sales and commerce has grown beyond our imagination. So you could join e-Commerce or e-Business Company, Start-up your own e-Commerce or e-Business Company or Start sales on an existing e-Commerce site. Web Developer: Web developer is a very good career direction and your BCA will also be helpful in career progression as Web Developer. Technical Support Professionals: BCA degree holders are equipped with systems and computer knowledge to enter technical support professions, whether at IT teams of MNCs, call centre jobs, or smaller firms. Presidency College, Bangalore: Established in the year 2000 Presidency College offered only two courses in the beginning. But in just span of few years it has become one of the renowned B-schools and offers a number of management courses. The Department of Computer Applications was started in the year 2000 it offers both BCA and MCA courses. In the initial time the course had only a few students, but today it has hundreds of students and a plentiful staff. Comprising of a state of art infrastructure the department has a vast library with a great collection of books on computer science. 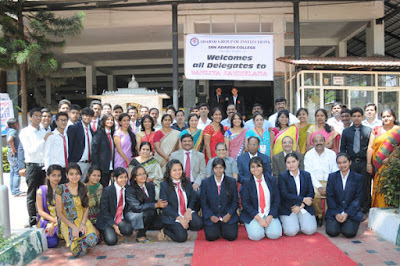 SRN Adarsh Degree College: It is one of the best BCA colleges in Bangalore. The duration of the course is 3 years and has six semesters. The BCA Department compromises of an excellent team of faculty members with great academic proficiencies. The infrastructure includes latest computer systems and exhaustive study material which provides students required support in their studies. The program covers all the topics needed to get an in-depth knowledge of computer science and serves as a stepping stone for master’s program or for job opportunities in the IT industry. 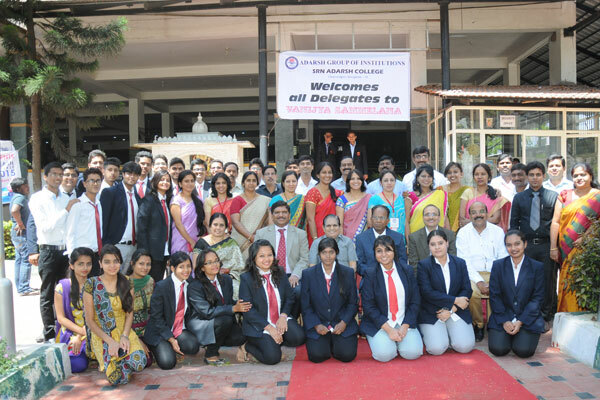 International Institute of Business studies: IIBS is known to be amongst the top colleges in Bangalore. It encourages quality education and offers world class infrastructure along with experienced faculty members. IIBS Offers full-time BCA for a period of 3 years. The Wi-Fi enabled campus is a boon for the students, through which they can connect to the business world outside and enhance the skills required to be corporate ready. The College has a limited number of seats. Apart from studies, the college offers various classes to enhance skills like foreign language, dance, training and grooming and sports.